This was inspired by a question raised by Dr. Robert Farley here and here. Within a navy the terms ‘frigate’ and ‘destroyer’ may have specific meanings, but there is no international standard. 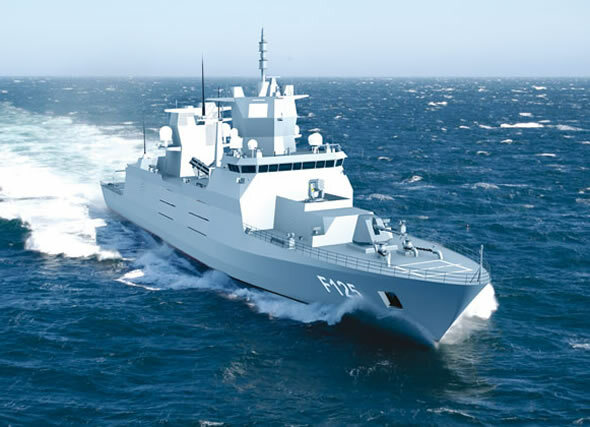 Governments often choose to call a ship a cruiser, destroyer, frigate, or corvette for political reasons, so the terms have lost much of their meaning. 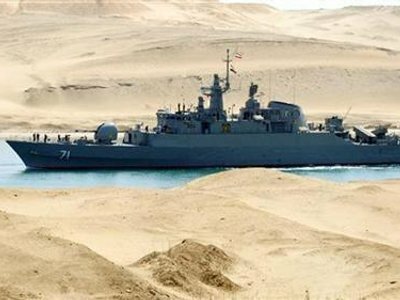 With the Germans building 7,200-ton F125-class ‘frigates’ and the Iranians calling their 1,500-ton Jamaran-class ‘destroyers,’ the naval typology system has lost its ability to inform. Cruisers have all but disappeared. The term has certainly lost its relevance as a step between destroyer and battleship. In the few cases they do exist, with the sole exception of the Russian “Peter the Great,” they are functionally virtually indistinguishable from ships called destroyers, and even from some ships called frigates. All these classes actually form a continuum of capabilities, influenced most strongly by their displacement. All fight primarily with gun, torpedo, or missile. All these ships are cruisers in the classic sense of a ship capable of sustained independent operations. They are all cruisers in the way Julian Corbett used the term, in that they are the ships that exercise sea control by enforcing blockades and protecting friendly commerce while denying it to the enemy. Additionally these are the ships that most commonly do boardings and fight piracy. For illustrative purposes, below is a comparison of five fleets. I have included ships of the U.S. and Russian Coast Guard, because they are also capable of doing some cruiser-type work, but added a notation. The numbers may be suspect. My sources may not be up to date, but I believe the comparison is generally valid. Chuck Hill is a retired Commander in the U.S. Coast Guard. He writes at Chuck Hill’s CG Blog, with the objective of looking, over the longer term, at the budgets, policies, tactics, roles, missions, and their physical expression – the platforms – that allow the Coast Guard to do its job. Late last year, Iran began threatening to close the strait of Hormuz in the Persian Gulf. At their narrowest point between Iran and Oman, the Strait are only 21 miles wide, but they have a perceived significance out of all proportion to their size, as some 17 million barrels of oil pass through them every day. This story was recently brought home in a long article in the Financial Times on 5 October by author, Javier Blas. His source was a report by the US Energy Information Administration published 22 August 2012 entitled World Oil Transit Chokepoints. Here is the gist of Blas’ argument. International sanctions have taken a grim toll on Iran. 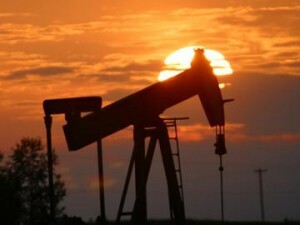 The Iranian economy is in horrendous shape, and the oil has lost 60% of its value since the beginning of the year. Merchants have gone on strike as a result. President Ahmadi-Nezhad is in his final term in office and he and his supporters have been increasingly sidelined by more conservative elements within the Iranian regime. Could it be, as Blas suggests, that Iran has less to lose now than ever before and that closing the strait — even if only a diversionary tactic by the president — is now more likely than ever? It should be remembered that the 17 million barrels passing through the strait of Hormuz daily constitute only 35% of the world’s oil. Apart from Iran itself exporters of oil primarily threatened by closure of the strait would be the Gulf states of Kuwait, Bahrain, Qatar. All their oil goes through the strait. Iraq, the United Arab Emirates, and Saudi Arabia, would also be affected, but not all their oil moves through the strait (the respective figures being 87%, 55%, and 48% of exported oil). So these countries, in so far as they are exporters of oil, would suffer greatly if the strait were closed. But Gulf states such as Abu Dhabi and Saudi Arabia have built pipelines which, when fully operational, will vastly reduce their reliance on the strait. It must be said, however, that the pipelines will only be ready in about 18 months, which may be too late. This strategy, though, is sound in principle, and other gulf states should find similar means to avoid relying on a single route of export. What about the West? Though the effect of closing the strait would not be negligible, it would not be catastrophic either — at least as far as oil supply is concerned. Only 16% of America’s imported oil passes through the strait, followed by Germany’s total of 5% — numbers which are dwarfed by statistics for Japan, South Korea, India, and China whose respective figures are 82%, 74%, 63%, and 43%. So it would seem that western countries have much less to fear from a closure of the strait than does Asia, at least as far as oil supply is concerned. None of this is to say that closure of the strait would not have a profoundly negative economic effect, which it certainly would. But the effect would not be permanent. And in every crisis lies opportunity. In the event that the strait were indeed closed, thereby denying enormous amounts of oil to Japan, South Korea, India and China, two countries may stand to gain from supplying them. The first is Russia. Russia produces 10.41 million barrels of oil a day, just slightly higher than Saudi Arabia’s output. According to the CIA, Russian reserves must be about 60 billion barrels, and there is much more to be discovered, so we can expect output to go up. But this would surely be augmented by the supposed 100 or so billion barrels of oil in Central Asia, historically within the Russian sphere of influence, and which Russia would almost certainly monopolize. In theory Russia and Central Asia could well end America’s partial reliance on gulf oil and supply large amounts to Japan, South Korea, India, and China at the same time. But the strategic concerns here would be enormous. Thanks to Presidents Putin and George W. Bush, Moscow now has renewed ties with Kabul, where it exercised influence throughout the 20th century. Could Russia pass up the opportunity to restart its drive towards the Indian Ocean in search of an ice-free port? Much of the necessary infrastructure is already in place, and if Russia developed oil reserves in the former Soviet Central Asian republics (as well as its own), transport to China and India via the Wakhan corridor in Afghanistan and rail links from Uzbekistan via Mazar-i Sharif through Afghanistan and Pakistan would be essential. Construction of such links has been in planning for some time. But a port on the Indian Ocean, perhaps with Pakistan’s coerced permission, would be ideal for transport of Russian oil to India and beyond. Thus American naval superiority in the Indian Ocean (based on the tiny British atoll of Diego Garcia) would be entirely outflanked, and the Fifth Fleet, stationed on Bahrain, could not offset this. The result might be naval race of terrifying scale. If closing the strait of Hormuz could lead to Russian dominance of the Asian oil market, many will argue that it would be best to keep them open at almost any cost. Many may therefore be pleased to know that the second country standing to profit from closure of the strait is Canada. Alberta’s Oil Sands are expected to yield about 4 million barrels a day by 2015, a puny amount that is easily outstripped by Russia’s colossal daily output. But Canada’s reserves are greater than those of Russia and Central Asia combined. In 2008, the government of Alberta estimated that 1.75 trillion barrels of oil could be extracted from the Oil Sands. Admittedly, however, only about 10% of this can be extracted in an economically viable manner at present. But 1.75 billion barrels is still a formidable amount and might well match or surpass Russian and Central Asian reserves. Output could also be increased with more investment that would further benefit Canada by creating jobs. Canadians might look forward to a day when domestic oil reserves foster a massive national industry with international reach, both to America to the south and across the Pacific — and this without the alarming geostrategic concerns attending the rise of Russia. It is also worth noting that exporting oil from Canada across the Pacific would obviate another oil transit chokepoint: the strait of Malacca connecting the Indian and Pacific oceans. Canada’s dominance as an ‘energy superpower’, as some have said, would require an enormous amount of investment in infrastructure and political will to see it through, but it might well be worth it. The high potential of the Oil Sands is not in doubt, but transport of oil through pipelines (notably the proposed expansion of the Keystone XL and the Gulf Coast Project) remains highly controversial both in Canada and the United States. And the environmental questions hanging over the Oil Sands themselves cannot be ignored either. So it may be some time before Canada can compete seriously with other oil-exporting countries — if ever. 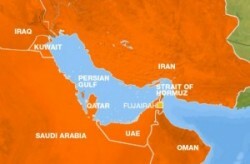 In the meantime, it will be best for everyone that the strait of Hormuz remain open. But Canadians may well wish to consider that Canada’s role as an ‘energy superpower’ may be infinitely preferable than other alternatives. Michael Bonner studied Iranian history at Brasenose College in the University of Oxford. He is widely published on pre-Islamic Iran in both English and French, and his master’s thesis was published a year ago by Studia Iranica in Paris. Michael is a member of the Balkh Art and Cultural Heritage project, an archeological team based in Oxford devoted to the study of the ancient city of Balkh near modern-day Mazar-i Sharif in northern Afghanistan. Any views or opinions expressed in this article are solely those of the authors and the news agencies and do not necessarily represent those of the Atlantic Council of Canada. This article is published for information purposes only. In what is being hailed as a new direction for Russian defense, President Vladimir Putin announced today that Russia is launching a massive naval construction program with the goal of developing an absolutely huge navy. At 518 vessels in service, Putin declared the Russian Federation Navy far too small to meet Russian security needs. Speaking at a press conference held at Admiralty Shipyard in St Petersburg, the Russian president said the proposed funding binge on the navy was an entirely novel idea and neccesary to protect the nation’s shores and foreign interests from its many enemies. Two dozen heavily upgraded Krivak-class frigates, to be christened the Admiral Grigorovich-class, are on order as part of the build-up, and “a sight never before seen on the seas,” said Admiral Viktor Chirkov. Documents released ahead of the press conference shed greater light on the details of Russia’s shipbuilding program. The plan calls for an additional 1,114 ships to be built over the next 15 years, with hundreds of new attack submarines and surface ships. Russia’s sea-based nuclear deterrent will also be recapitalized. Once completed, the ships will be spread equally among the four existing fleets of the Russian Federation Navy – Baltic, Black Sea, Pacific, and Northern. Russian government officials were quick to offer their support for the program. Russian Prime Minister Dmitry Medvedev offered another justification for the new policy. 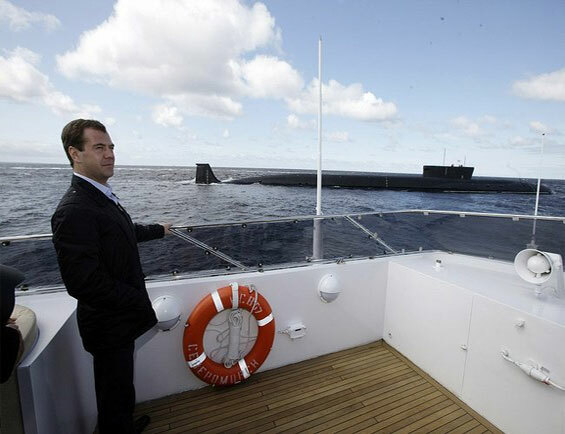 Prime Minister Dmitry Medvedev inspects the bridge wing of a Russian naval vessel during a fact-finding mission for the first Russian naval construction program ever. In Washington, D.C., U.S. officials were skeptical of the Russian government’s new plans. “There is no conceivable need for Russia to have such a large navy,” said U.S. Chief of Naval Operations Admiral Jonathan Greenert, questioning the economic rationale for the Russian government’s new shipbuilding plans. Greenert also questioned the novelty of the program. Asked for comments, Chirkov found Greenert’s claims less than convincing.